Last month, I started some reading and writing goals. It’s been going great even though I’ve had a few setbacks. My reading goal is to read ten pages a day. It’s not a lot but I find it very easy to manage. I enjoy reading but I don’t do it as often as I like. I’m one of those people who read a bit and then not pick up the book for months. It takes me a long time to finish any book. So I try to read a little bit in the morning. I usually find that I end up reading more than prescribed. Another goal of mine is to write 100 words a day for my novel. I’m participating in a 100 word for a 100 days challenge http://goteenwriters.blogspot.com/2018/05/register-for-100-for-100-writing.html . It’s a challenge open to all ages. The challenge has been really good for me. I am making good progress in my novel. I’m writing more than what I usually do. Prior to the challenge, I wrote sporadically whenever I had the time. Sometimes, I would hardly write anything even though I would spend a long time on the computer. I’m currently reading Mary Poppins by P.L Travers. I’ve had that book for four years, so I figured it was about time I read it. I actually haven’t watched the movie either. 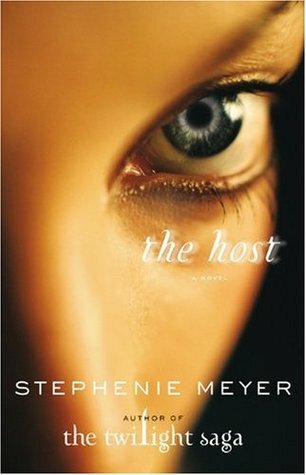 I’m also reading The Host by Stephanie Myer. This book was gathering dust on my bookshelf for a long time too. I watched the movie adaption some years ago. I really enjoyed it. 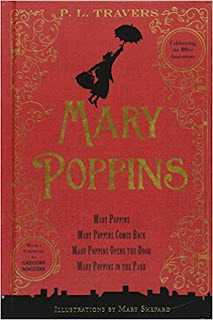 I think that if The Host had been Meyer had debut with this novel, people would have recognized her talent. The writing and the story is stronger than Twilight. I’ve started watching the third season of The Unbreakable Kimmy Schmidt. It’s a comedy series on Netflix about a woman who gets freed from an underground doomsday bunker. Kimmy tries to rebuild her life.